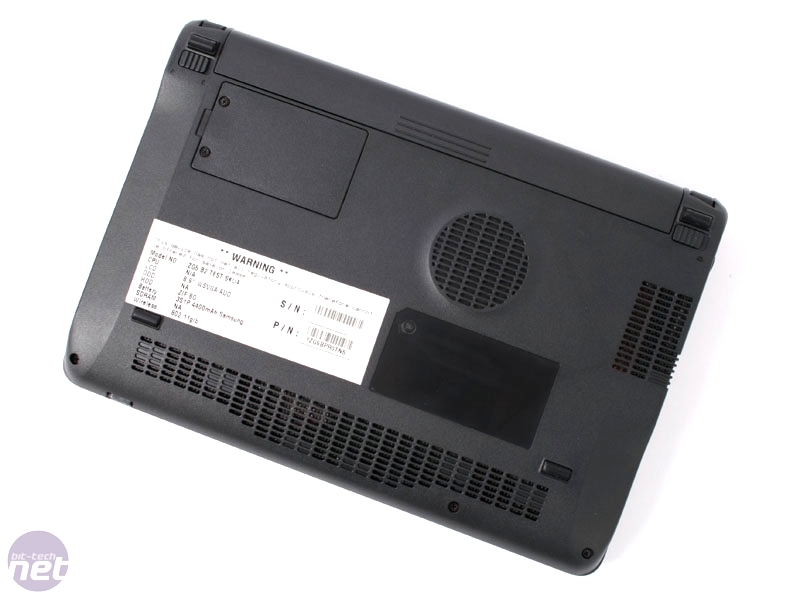 Building an ultra-portable notebook - or UMPC or sub-notebook or whatever the hell you want to call it – shouldn't be all that hard, but the sheer number of companies out there struggling to get it right seems to imply that there are hidden complexities to the task. “Surely it must be simple?” the consumers cry. “It's harder than it bloody looks – and stop calling me Elizabeth!” comes the designers reply. It seems nobody, not even Asus with the ubiquitous Eee line, has got it quite right just yet - in fact, Asus’ take seems to be that 23 models should cover it. It should just be a case of putting a mixture of the oldest, least power hungry and smallest components in a tiny case, stripping out the CD drive and HDD and replacing them with WiFi and an SSD. Make it run a Linux distro to save on cost and give it just as much battery life as you can get away with. Bob's your uncle, right? For a road test you can give the final prototype to a teenage skater kid (or Jamie). Let him put the laptop in his back pocket. If your miniature creation doesn't fit or if the weight is enough to pull down those precariously fashionable and low-slung jeans then you know you've gone awry. Simple. And yet, still, nobody has been able to get it exactly right. The original Eee is good, but a bit squinty compared to the competition now and the line has since become so hopelessly diluted that it's hard to keep track. The HP Mininote 2133 fails on performance. The MSI Wind is little more than a cunning trick on consumers. 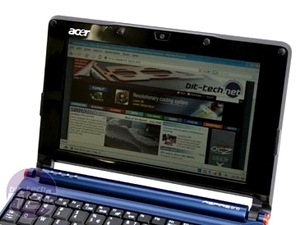 And now Acer is stepping up to the plate, ready for a home run. The Aspire One from Acer is, I admit, a subnotebook I fell in love with almost as soon as I got my hands on it. The reasons were twofold. Firstly it wasn't white, which makes it a hell of a lot easier to photograph. Also, the keyboard. The keyboard is where most subnotebooks get it wrong. They shrink it down too much or not enough. They make the keys a little bit smooshy, or they over compensate like the HP Mininote, creating a satisfying and solid feel that unfortunately drives the price up. The Acer though is different. The keyboard is decently sized, firm and easy to use. Our standard keyboard test involves writing articles, playing some games and writing the Jabberwocky poem over and over again – and we had absolutely no problems with any of them when it came to the Acer Aspire One. Let's put initial impressions aside though and start looking at the base, technical details instead. 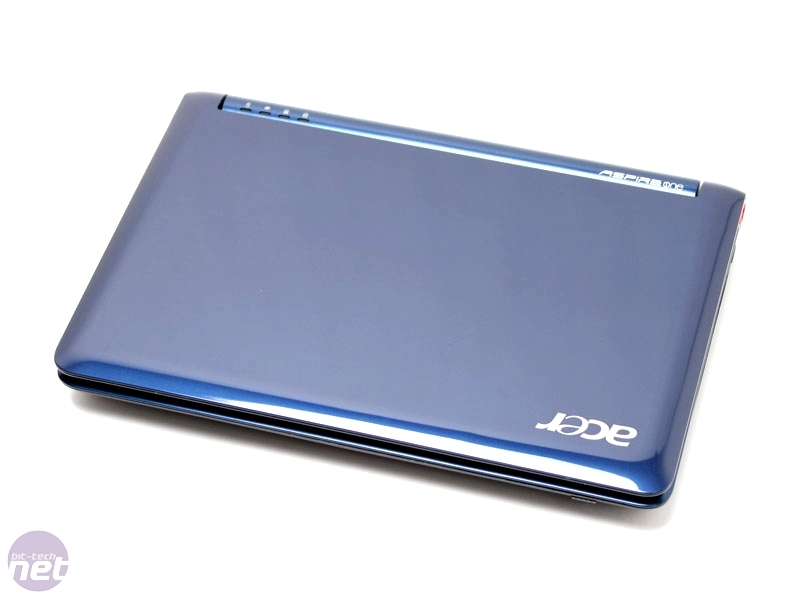 These are the things you will immediately judge the Aspire One on, circling or crossing it off your Wish List based on your wants and needs. The Acer Aspire one, we're pretty sure is a circler. The small plastic frame may only be 245mm x 165mm x 25 mm (WxHxD), but it still has everything you'll really need packed inside – provided all you're using it for is basic office tasks and internet browsing. There's 512MB RAM, a 1.6GHz Atom CPU, an 8GB SSD storage drive and an 802.11g/b wireless card, plus a webcam you’ll likely never use. None of it could even be considered as cutting edge even five years ago, but that's not the point. The point is that it's small, portable, functional and cheap. Besides, if technical constraints are really going to be an issue then you can always upgrade the system yourself. Throw another stick of RAM in there, expand the storage – whatever you think you need. 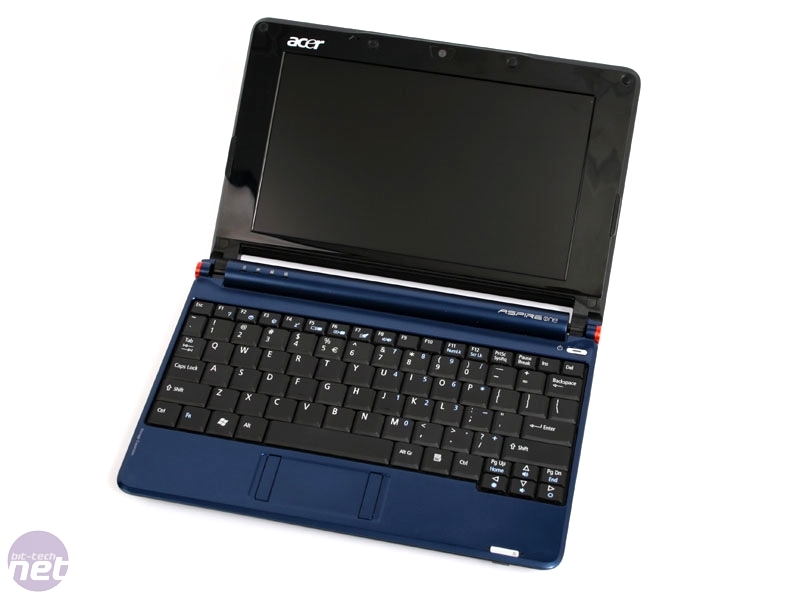 While we reviewed the basic model here, Acer does include the option of 1GB of memory and up to 120GB (non-SSD) HDD, but you’ll have to pay quite a bit more. Each of these is hooked up to a 8.9” screen, which outputs at a standard 1024x600 resolution and all is powered by a three cell Li-ion battery that runs at 2200mAH. The fact that the battery is only a three cell is perhaps a minor cause for worry, but we'll get around to battery life in a little bit. In terms of the connectivity on offer, the Aspire runs the standard gamut – there's three USB ports scattered around, an SD card reader, an Ethernet port and a VGA-out. There's a Kensington lock too, naturally, as well as a headphone and microphone port and another card reader for the more exotic flavours – memory duo and the like.